Running a restaurant today poses far more hurdles to overcome than ever, even though you can find solutions with the right technology investments. One of the biggest developments in restaurant technology is the increasing reliance on mobile apps. If you haven't employed at least some aspect to this in your restaurant, you're already behind by a couple of years. Most recently, you're seeing a rise in restaurants creating apps for food delivery. This development has some pros and cons, mainly in managing costs and managing the mobile technology behind it. Take a look at how this could impact restaurant chains and why you need superior mobile management to avoid mishaps. How Fast Are Delivery Apps Growing? The New Yorker recently did a piece about delivery apps and how it could affect restaurants who depend on sit-down customers. In the piece, they note that in big cities, many restaurants are finding food delivery apps as a convenient new layer to their businesses. It's not necessarily new when you consider established online restaurant delivery companies like Uber Eats and Seamless now team up with restaurants to help them make faster deliveries. These food deliveries go beyond just the basics like pizza or simple entrees. Now it's bringing full course meals to people's homes through top-tier app design. Challenges still exist in this arena, mainly affordability. Many restaurants can't afford the courier costs. Even so, some restaurants feel like they have no choice but to capitulate to mobile app delivery service to stay in business. Will Delivery Apps Really Shut Down Some Restaurants? Some restaurants who depend on customers to visit them in person fear delivery apps will eventually force them to close down due to people preferring to eat at home. This argument isn't necessarily a wide one, especially through the delivery app companies listed above. In the New Yorker piece, companies like GrubHub say app deliveries can act as a form of marketing. It potentially means those who order from these apps would take the initiative to visit the restaurant in person eventually. Promoting the atmosphere of these sit-down restaurants on the app could certainly help, but it hasn't lessened the concern of many eateries in the process. For some, it's led to a reinvention of typical restaurant business models. The head chef of NYC's Momofuku (David Chang) and a venture investor Hooman Radfar started an all-delivery restaurant a couple of years ago called Ando. It focused exclusively on online orders through its own brand-designed app. Recently, it merged with Uber Eats, giving more power to the possibilities behind delivery apps in restaurants. While it may seem like the big players are the only ones who can succeed at this, it's an inevitable future trend. Despite the financial aspects to it needing more thought, good mobile management should become central to making sure you have no bugs or security issues. It's challenging to find platforms giving you comprehensive mobile management for something as complex as delivery apps. At RemoteRelief, we work with restaurant chains and retail stores across the globe to help them balance managed mobility. Our platform can help in simplifying and securing app access. Seamless access to your delivery app is what we help you achieve, including providing easy configuration, and reliable security. 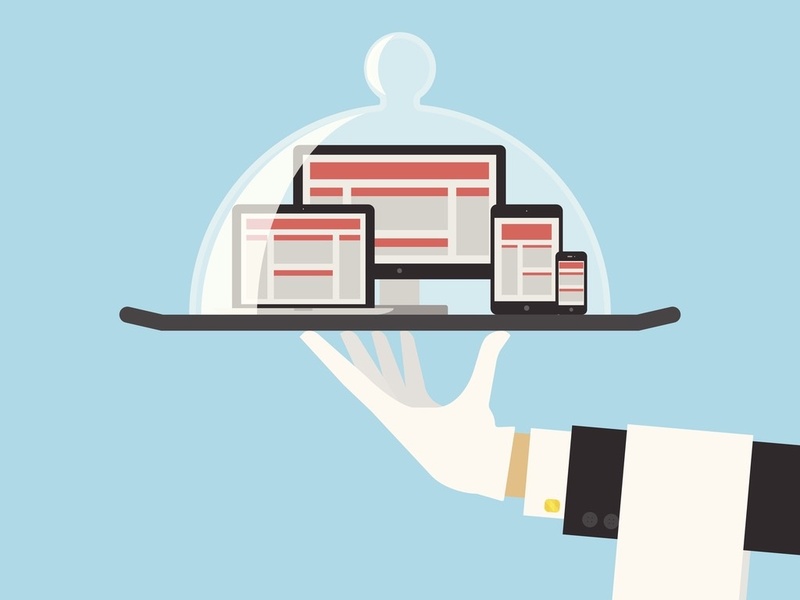 You can even add a BYOD policy to your restaurant and safeguard your data at every layer. If you place regular content on your delivery app, we have the ability to manage that as well to keep yourself competitive. With technology changing fast in the restaurant industry, we're there to help you through the confusion to keep everything properly managed and monitored.